Late last year I started hearing some buzz about a book called The Miracle Morning – The Not-So-Obvious Secret Guaranteed To Transform Your Life BEFORE 8AM. Now, I’ve always been more of a morning person than a night owl (unless I have a juicy book in my hands…then “Who needs sleep?” becomes my anthem) so I thought I would check it out and see if I could harness a bit of my morning mojo for the powers of good. 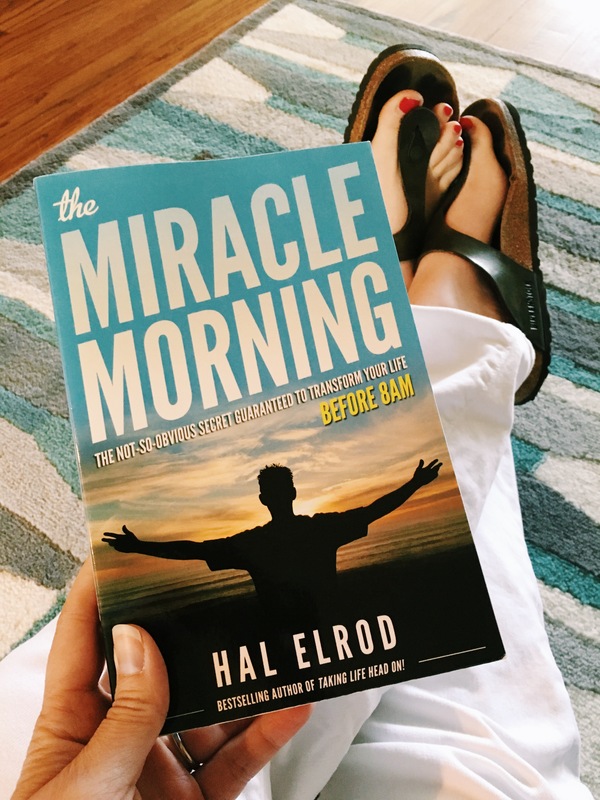 The author, Hal Elrod, is a guy who has hit rock bottom twice in his life and has pulled himself up and out of the pit each time. The Miracle Morning walks us through the technique he developed and has used with hundreds of his coaching clients and now millions of readers to do the very same thing. In this post, I will give you a brief review of the book as well as my own personal experience with the technique so far. You are just as worthy, deserving and capable of creating and sustaining extraordinary health, wealth, happiness, love and success in your life, as any other person here on Earth. How you wake up every day and your morning routine will dramatically affect your levels of success. Once you agree with these 3 ideas, then you’re ready to dig in and create your own morning routine! Hmmm…you hit snooze 5 times each morning? Are you just not a morning person? Well, this book has some strategies to help you with that, too. Before I read the book in December I had gotten into the snooze habit myself – so I get it. But reading this book helped me stop that cycle and wake up excited to get started with my day. The Miracle Morning routine consists of six parts, which can be practiced for varying amounts of time depending on both your area of focus and your schedule. For ease of recall, they are arranged into the acronym SAVERS, but you can adjust the order of the tasks to suit yourself. S – Silence. Use this time for meditation or prayer. A – Affirmations. Tap into your emotions and create affirmations that speak to WHAT you want, WHY you want it, WHO you are committed to being/becoming to get it, WHAT you’re committed to doing to get it and add in some motivational quotes that speak to who you want to become. You can head over to www.tmmbook.com for some free resources in creating your personal affirmations. V – Visualization. Just like pro athletes will visualize the perfect golf swing or game and standing on the podium achieving Olympic glory, take the time to write out what your day will look like after you achieve your goal(s). What time do you wake up? Who do you spend time with during the day? What do you do? What do you NOT have to do? What state of mind are you in? How does your body feel? All the details add up to make it feel REAL and attainable and a daily review of this future paradise will keep you grounded and focused on what you’re working towards. E – Exercise. Yoga, walk the dog, pump weights, pound the pavement. Break a sweat and elevate your heart rate. Just 60 seconds of stretching to get the blood flowing is better than nothing. R – Reading. What did you identify as part of your affirmation that you need to LEARN in order to be who you need to be or do what you need to do? Okay, find a book on that topic and read up on it! I’m a lifelong learner and have a set of shelves dedicated to non-fiction books that I’ve scribbled all over. If you need recommendations either check out my other Rebe Reads posts here or shoot me an email and I’ll see if I can give you a specific book to help with your situation. Also – audiobooks & podcasts count here, too, for those who are auditory learners. S – Scribing (Journaling/Writing). I’ve used this time for everything from updating my Bullet Journal with tasks for the day, to writing notes to my children or friends, to writing in a journal, or working on writing a post/essay/manuscript. This one flexes quite a bit for me as the needs of my day dictates. Since reading the book, I’ve been playing around with creating my own morning routine and here’s what works well for me. Using the timer on my phone keeps me on track. Once I start reading I’m oblivious to the passage of time, so the timer reels me back in. It also forces me to meditate for the full amount of time. I can relax deeper into the meditation if I know I have a timer that will ring/buzz when my time is up. Open-ended meditation doesn’t work for me – I either think I’ve gone for much longer than I have or I’m not able to clear my mind because I’m keeping an eye on the clock. It’s recommended that you spend at least 10 minutes on each one of the SAVERS, but if you wake up late you can crank through these in 60 seconds each, or a total of 6 minutes. You even do silence, affirmations, and visualization while in the shower or after dropping the kids off at school while driving home/to work. I combine silence and affirmations. I use a strand of mala beads and each day I pick 3 affirmations. I repeat one of the 3 affirmations as I touch each bead until I am back at the starting bead when I pause and state what I’m grateful for that day. This usually takes about 10 minutes. Exercise is always last for me so I can go straight into the shower afterward. Track it! Mark off the days you do your Miracle Morning on a calendar and make it a goal to do it for 30 days straight! I guarantee that you’ll be excited by the changes you’ll see in your life! So how about you? Do you have a “miracle” morning routine that includes some or all of the above? Let me know what your routine looks like in the comments and who is committed to trying the official Miracle Morning out! UPDATE: Since I originally wrote this post many, many more editions of The Miracle Morning have been published, each tailored to a specific profession or group of people. 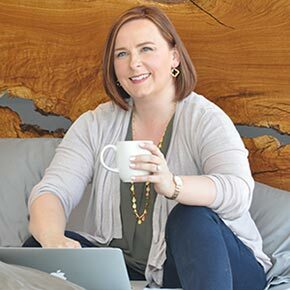 I purchased The Miracle Morning for Writers: How to Build a Writing Ritual That Increases Your Impact and Your Income (Before 8am) and found two things: 1. you get the same basic building blocks that are laid out in the original book and 2. I really appreciated the tailored suggestions for writers and found it very useful. I’ve gone back to it several times to reference tools or techniques mentioned. If you find a version that aligns with a key part of your life, I’d highly recommend getting the specialized one!